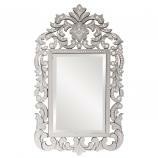 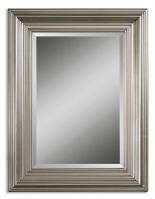 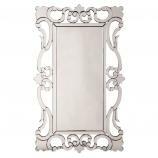 Frame Dimensions: 26" X 36"
The top of this mirror is crowned with elegantly shaped pieces of glass. 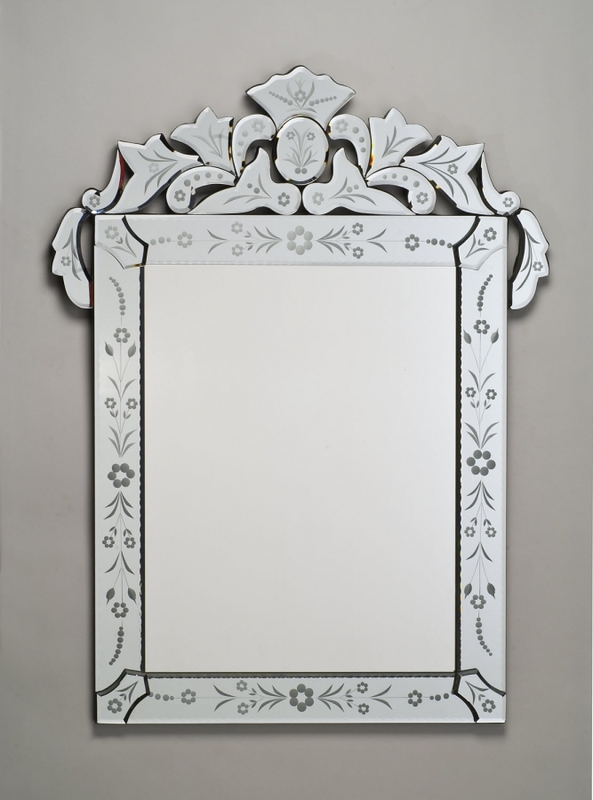 The frame around the entire piece is enhanced with beautiful flowers and stems that flow around the space. 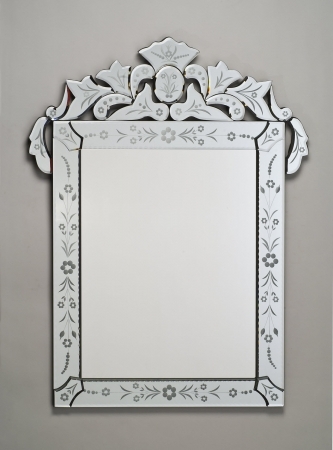 Aside from the decorative properties this piece will add to the room, it also adds functionality with the reflective surface.